Hyde Park has hosted some of the most iconic events in history from The Rolling Stones to Pink Floyd and Pavarotti! We have come a long way since the first concert took place in the Cockpit area of Hyde Park nearly 50 years ago. Explore the rich musical history of Hyde Park and relive some of the best moments through film footage of the live concerts! Described by the late John Peel as "the nicest concert I've ever been to", in 1968 Pink Floyd played at Hyde Park’s first big rock concert. The free event attracted people to picnic, kick back and listen. They would play again to a much bigger crowd in 1970. People were hyped up for The Stones in the Park, with estimated crowds of anywhere from 250,000 to 500,000 people. The concert was memorable for being the first time people had seen The Stones live for two years and the debut of new member Mick Taylor. The last concert held in Hyde Park for a decade, and another huge crowd of around 200,000 people turned out to see Queen who were fast becoming superstars. The show overran and had to be cut short with the police threatening to lock up Freddie Mercury. There was no encore, with the lead singer reportedly saying he didn’t want to risk spending a night in a cell in his jumpsuit. There’s not a lot of information on the first of Elvis Costello’s several appearances at Hyde Park, the park’s first big concert for ten years. He played over 60 shows worldwide in 1986, the last year before he broke up with his backing band The Attractions and subsequently went solo. This footage is from a performance on the BBC that year. 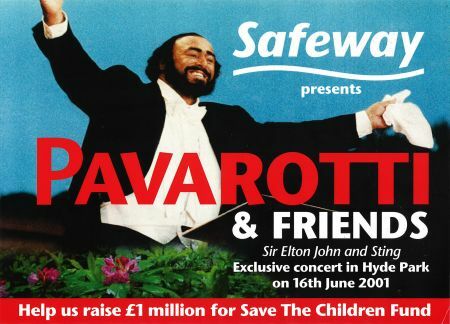 Over 100,000 people including Prince Charles and Princess Diana braved the torrential rain to see the free concert from Luciano Pavarotti. Celebrating his 30 years in opera music, it was the biggest outdoor music event in the park since The Rolling Stones in 1969. A mix of lifelong fans and people that had first heard Pavarotti sing the anthem of the 1990 World Cup rose to applaud the end of Nessun Dorna. The very first Hyde Park BBC Proms in the Park was held in 1996. This is Kylie Minogue in 2012 performing her huge hit 'Spinning Around'. 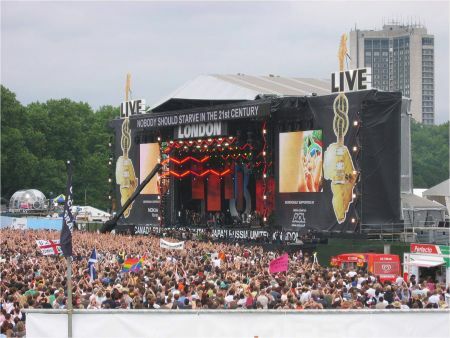 Part of the series of concerts that also took place in America, Canada and Germany, Live 8 brought together some of the UK’s finest musical talent to mark the 20th anniversary of Live Aid and raise money and awareness for the fight against poverty. Highlights included U2 and Paul McCartney opening the show and Pink Floyd’s first performance with their famous line up for 24 years. It would also be their final performance together. 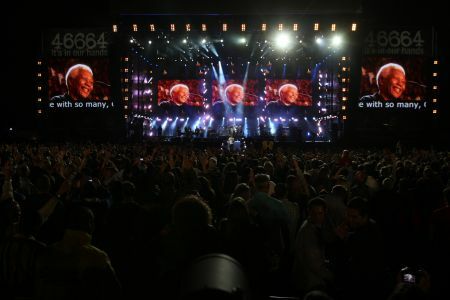 The three and a half hour concert was 20 years after the 1998 Wembley tribute while he was still in prison. Held to raise awareness of Mandela’s AIDs charity work, a host of stars turned out to watch a long list of performers. In the run up to the event the press was dominated by Amy Winehouse and whether she would or wouldn’t turn up (spoiler alert if you haven’t watched the video – she did). 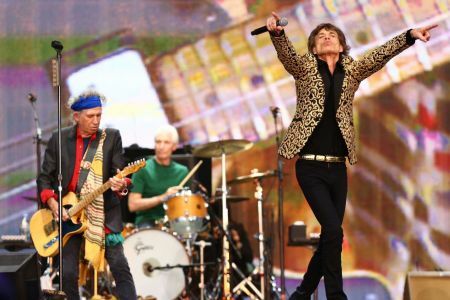 An amazing 44 years since their 1969 performance, The Rolling Stones returned to wow their fans, playing two nights at Barclaycard presents British Summer Time Hyde Park. With tickets for both shows selling out within three minutes of going on sale. The historical event was released as a live album and later a DVD, marking 50 years of the band’s extraordinary career.